Weather Timeline, the award-winning, material design-toting weather forecast app by Sam Ruston, has just been unpublished on the Play Store. Those that already bought the app will continue to have access to it, but new customers are out of luck. This marks the second time in as many hours that Sam Ruston is in the news here at AP. His new app, Bouncer, landed over the weekend to augment privacy concerns in this modern age of aggressive app permissions. 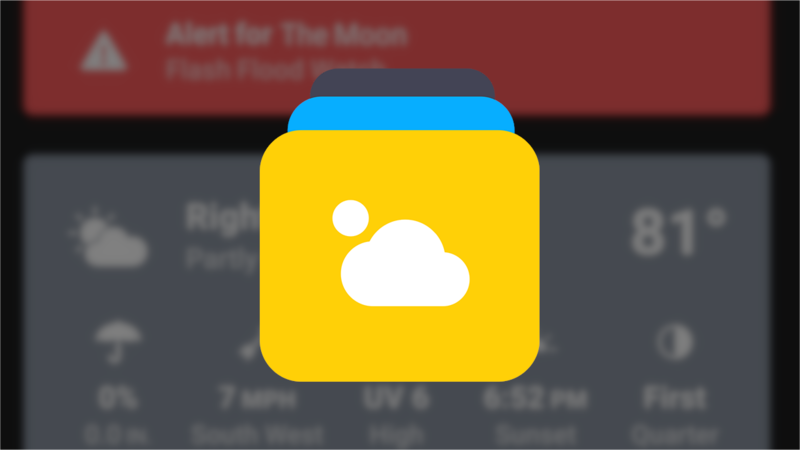 Unfortunately for us, his latest addition to the Play Store coincides with Weather Timeline's departure. According to the statement provided by Ruston, the reasons for Weather Timeline's unfortunate demise are the ongoing cost of API access, paired with a decline in general sales. As expenses continued and revenue fell, eventually the app reached a tipping point where new purchases weren't occurring often enough to sustain it. A new generation of customers may never come to love the clean and logical design of Weather Timeline. 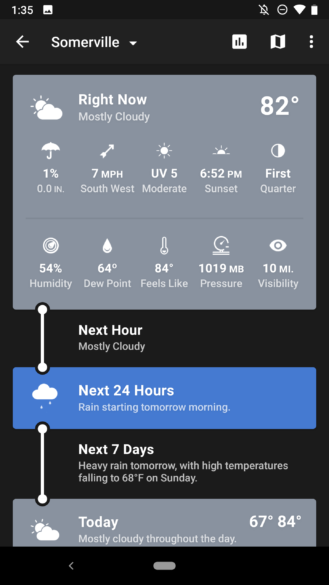 At $1.49 over the last four years, the app has been a bargain for lovers of clean design, but with the cost of weather API access, that value may have hurt Weather Timeline in the long run. We spoke to Ruston about the app's unpublication and were told that the only models for app sustainability going forward were likely to upset customers. He even debated introducing a subscription model, but the expected customer backlash precluded that choice. This isn't the first time API restrictions have had a negative impact on Ruston's apps. Twitter's pants-on-head-stupid token limit resulted in Flamingo being pulled earlier this year. 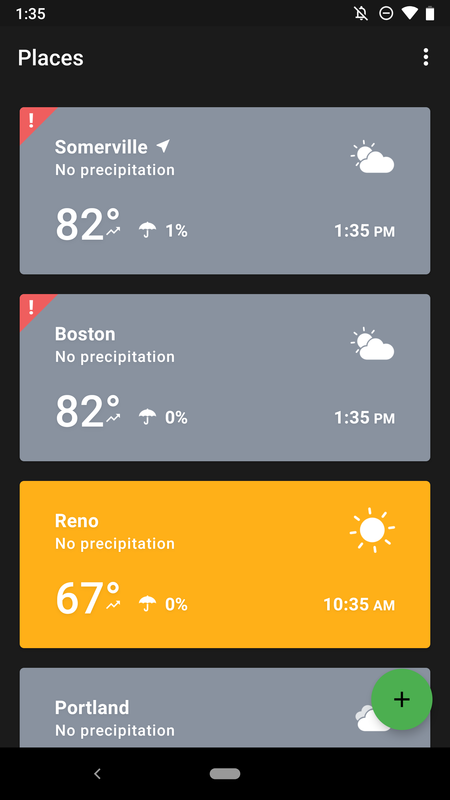 If you already own and use Weather Timeline, there's no reason to panic. In the statement explaining his reasoning, Ruston states that it will continue to function for the foreseeable future — which presumably means updates will continue at some schedule to ensure compatibility and functionality are maintained going forward. So the app will continue to work, and you'll still be able to download and use it on newly purchased devices. It's unfortunate that a switch to a subscription model likely would result in a strong customer backlash, though I wish it were possible to convince Weather Timeline's patrons of the benefits. The life of an indie developer is a hard balancing act, just ask Francisco Franco.